The Happy Saints Liturgical Calendar 2018 (Year B) is now available! 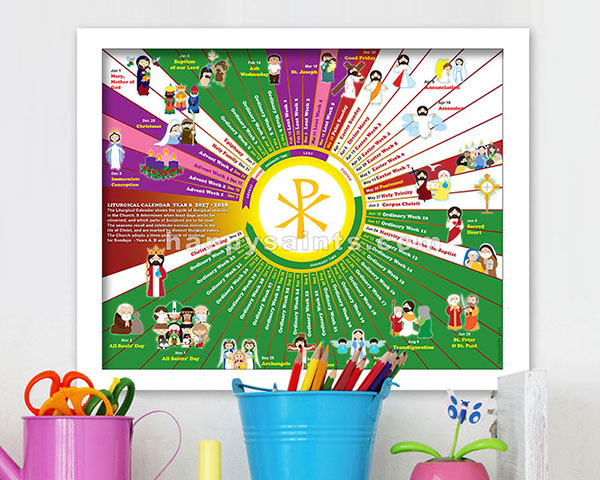 Illustrated with Happy Saints artworks, this calendar will encourage kids and the young-at-heart to keep track of the Church’s major dates. Great for parents, teachers, catechists, children and families! Use as wall art the whole year round! Available as PDF download or prints.